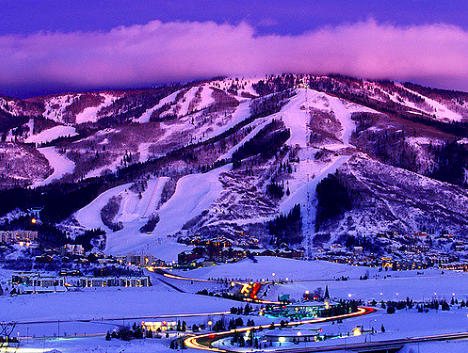 At first glance, Steamboat is the ideal senior skier resort. It’s big. It’s predominantly intermediate. It’s anchored by a substantial town with hot springs, shops and many good restaurants. There are lodging options, galore. But Steamboat also has its challenges. If you’re not part of the IKON Pass, a day ticket can cost $129-159 (advance online). And reaching the lift from where you’re dropped off is always a hike. Many of you associate Steamboat with two of the great mid-century names in the sport: Buddy Werner and Billy Kidd. Werner was raised there. He competed in the 1956, ’60, and ’64 Winter Olympics and died soon after in a Swiss avalanche. Part of the area is named in his memory. 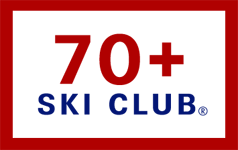 Kidd won silver and bronze in the 1964 Olympics and bronze and Gold in the 1970 FIS World Chamipionships. 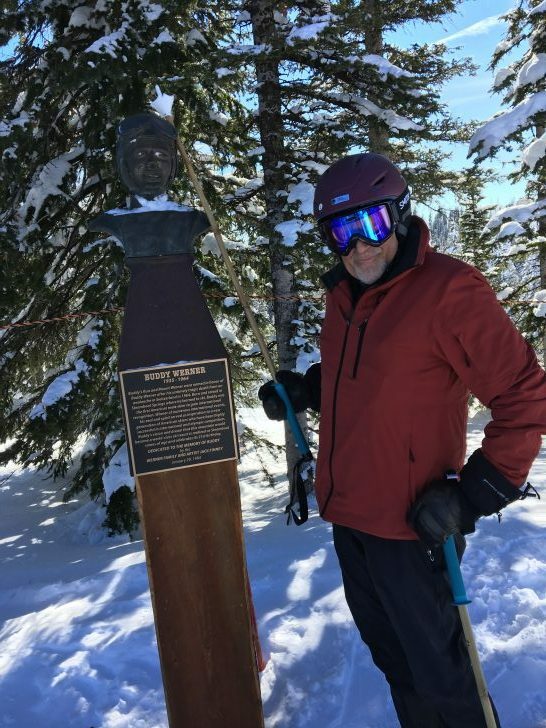 Now 75, Billy Kidd has been Steamboat’s Director of Skiing for almost 50 years. Most days at 1PM, he’s available for a run with the guests. The resort is expansive: 2965 skiable acres spread across two mountains and offering 3668 vertical feet. At 6900’, the base is good for breathing. The lift-serviced part of the mountain tops out at 10,384’. Storm Peak has the most steeps. Sunshine Peak has more greens and blues than blacks. Morningside Park, the backside bowl, is mostly blues and blacks. I was there on two particularly cold days, but enjoyed the effects of the inversion that produces warmer air at higher elevations. Unlike the smoggy inversions in the Salt Lake Valley, in Steamboat cold valley air stays clear. The resort is in the northwest corner of the state. The most efficient way to get there is by flying into nearby Hayden which receives non-stops from most major airports via Alaska Airlines, American, Delta, and United. First day on the mountain, I was fortunate to ride up the gondola with an instructor on his day off. He volunteered to show me around. Greg Lambert knows his stuff. We started at what locals call Wally’s World (aka Sunshine Peak). From there radiate numerous trails and glade runs. One set is named for breakfast foods (Cowboy Coffee, Hot Cakes, Biscuits, Gravy); another set for their sundial effect (High Noon, where the sun is directly overhead at noon; One O’Clock, Two O’Clock, and Three O’Clock). We worked our way toward Storm Peak, where there’s generally steeper terrain and almost endless opportunities to duck into the trees. A bit fatigued, I left Greg and worked my way over to Thunderhead Lodge, then down a long wide run called Valley View. The panoramas of Yampa Valley and distant ranges are spectacular. Yours truly tapping Buddy for good luck. Day Two, I was back on Storm Peak. At the top there’s a bronze bust of Buddy Werner. Local lore says tapping his noggin with a pole brings good luck. I tapped and felt fortunate to be there. One night we dined at Low Country, which serves authentic (and outstanding) Southern style cuisine. The morning before heading out, we had a terrific breakfast at Creekside Cafe. Steamboat is big and beautiful. It legitimately prides itself for friendly cowboy cuture and its legendary “Champagne Powder.” The town has everything you’ll need during your stay. Free shuttles are available to take you everywhere. 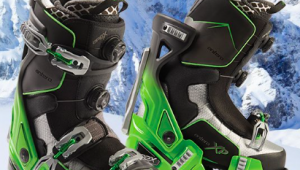 But to get to a lift, you need to carry your gear through Gondola Square and numerous short sets of stairs. Yes, we saw a storage facility and wagons to pull things, but negotiating the journey was tiring. Eight or ten years ago it wouldn’t have been an issue, but at three-quarters of a century, I felt it. At one point, I’d like to return to Steamboat. By then, maybe they’ll have a moving sidewalk or a team of sherpas to ease the burden. I’m 84, can ski 3 hr. maximum. $ 130.00 a day???? I came to Steamboat in early February, 2019, with a Truck Camper and an Ikon Pass. I stayed overnight at Stagecoach State Park, about 20 min away, and parked in the Meadows lot for the day. There was 4-6 in new snow and hard pack underneath. I’ve been skiing for 50 years and to characterize Steamboat as intermediate tells me you’re just not lookin around. There’s plenty of advanced terrain if you’re paying attention. I found no lift lines and skied myself to a pulp by 2 PM. There is plenty going on in Steamboat that, in my opinion has nothing to do with skiing, but the ski area is definitely worth a stop on the way from Colorado to Utah, and gets you away from the I-70 hordes coming out of Denver.